No dinghy sailing on the 12th of May because of the late tide? 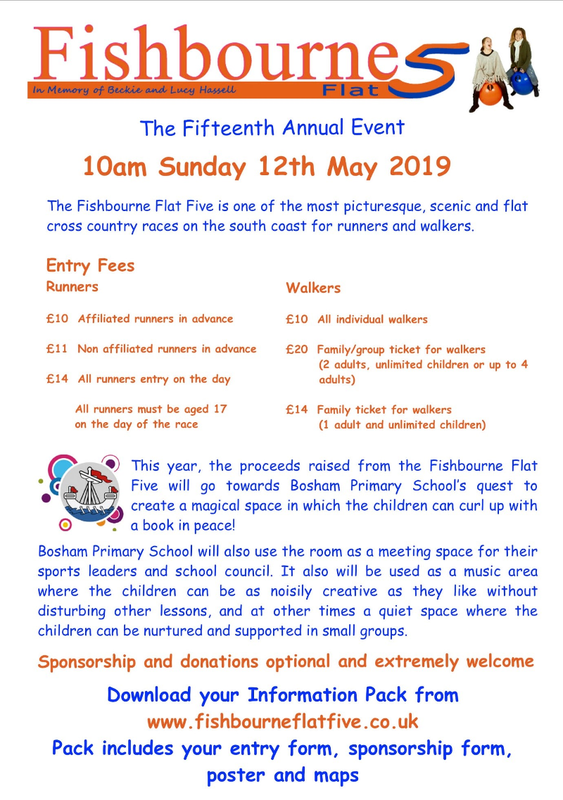 …then come for a beautiful, scenic run or walk, around Chichester Harbour, with fellow runners and walkers, raising money for a local school at the Fishbourne Flat Five. Each year we raise money for a different charity or good cause ‘local’ to Fishbourne and Apuldram. Do come and join in the fun!